So, you thought that because the summer had ended there wasn’t any more large-scale live music on? Well think again. Well, medium scale, at any rate. Dr Martins, the shoe makers, have been putting on some shows in their stores recently. If you’ve been to one of the shows in Liverpool, Cardiff or Leeds then lucky you. If not, I’m afraid you missed three pretty good bands. However, if you’re London-based you’ve got a couple more chances to see some of their choice bands. 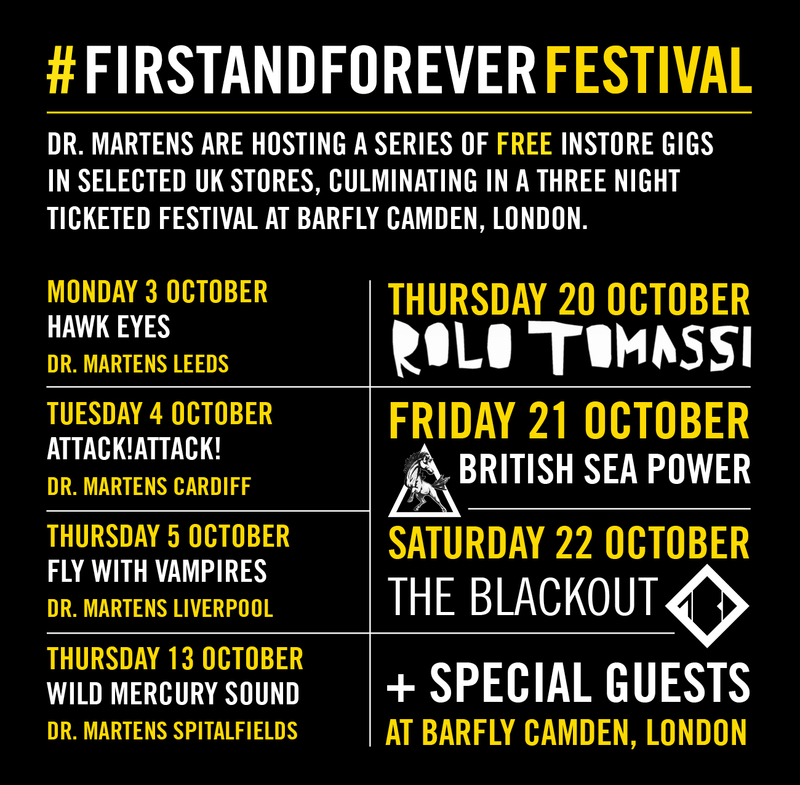 The Spitalfields store is hosting Wild Mercury Sound on Thursday and then you can catch Rolo Tomassi, British Sea Power and The Blackout at the London Barfly starting from the 20th of this month. Now then, having basically reiterated what’s on the poster above, here’s something you may not know. The way to get tickets is to go this this website and tell them about your first gig. Or favourite gig. Or just a good one. You can also pop along to the Wild Mercury Sound show and you might be lucky enough to win tickets to see them play at the Barfly. So in summary, pop along to the Doc Martens competitions website, win yourself some tickets and see one of three bands play. I know which one is at the top of my list, but I’m not telling. Who is it you’d like to see most? Listen to the tracks below and maybe give yourself an idea.